I honestly had no idea I was grimacing this much . . . There are things we do because we need to. There are things we do because we want to. And then there are the things we do because we have to. A week and a half ago, I had to run a half marathon. I am not a runner. As a kid, I hated running. I picked up running as a teenager when I discovered just how terrible I was at sports. I loved being active, and if I couldn’t make the varsity basketball team, well . . . After my rock-climbing accident, I discovered cycling. My right shoulder was severely damaged in the fall, and in the months that followed, my right arm couldn’t swing properly. Running was out of the question; cycling, on the other hand . . . I got my first road bike for my 21st birthday and was hooked. I still ran often because, let’s face it, putting on a pair of running shoes is a lot simpler than pumping up bike tires and fixing flats, but, in reality, cycling had my heart. That’s why the furthest I’d ever run until October 20th was seven miles. That’s why the furthest run I’d done recently was six. I’d always thought about running longer distances, of course. 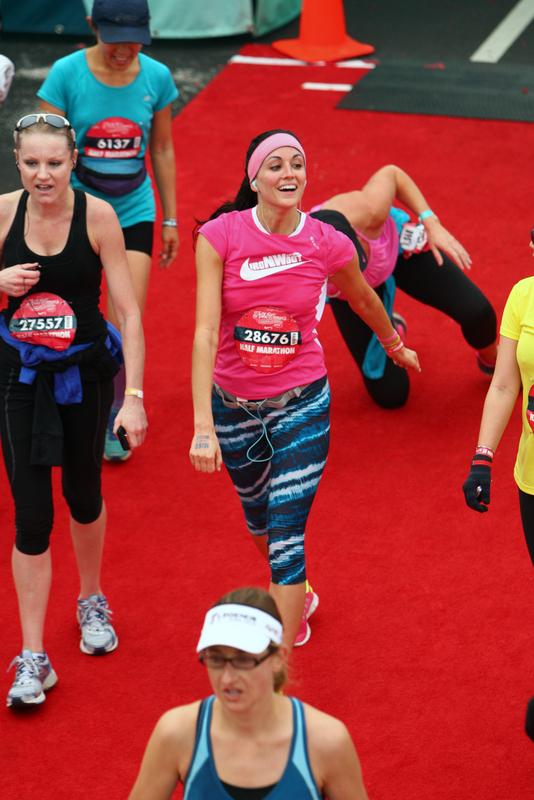 I had friends who’d run half and full marathons and reveled in their dedication. How could I not admire someone who purposely put their body through that much pounding? I wondered if I could do it, too—and knew deep down that I could—but I hesitated to sign myself up for the task. Why would I, unless I had to? 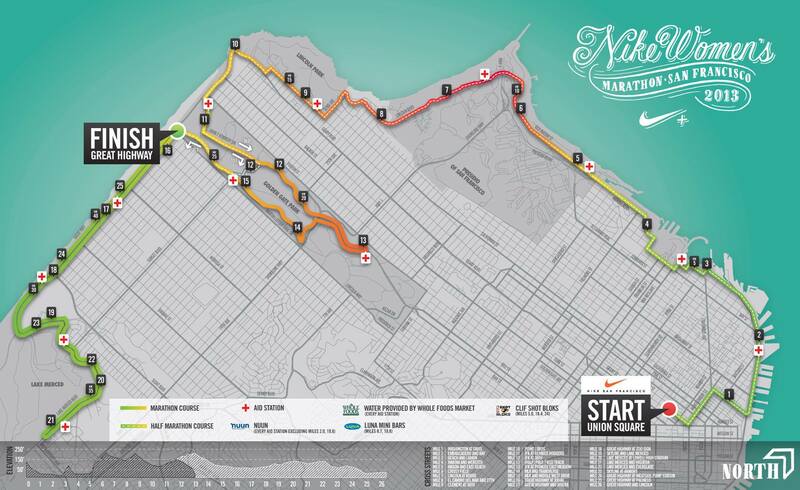 And that’s when my dad’s girlfriend and brother’s fiancée signed up for Nike Women’s Half Marathon in San Francisco. And that’s when, how could I not, too? There is a deep competitive streak in me, and not the least with myself. If they were doing it . . . you damn well better believe I was going to do it, too! The weeks leading up to the race were tough. I often chose to ride my bike over going on long training runs (“Because I wanted to! *) and then there was my two-week excursion across the country. When I made it back from my trip, I had exactly one week until the big day. That week, I ran a few times, bought inserts for my shoes, wrote a blog post for good luck, and got in my car and drove to San Francisco . . . I ROCKED IT!!! Err . . .
Beep, beep, beep, beep, beep, beep, beep, beep . . . Ugh. I could sleep at least four more hours. (I hadn’t made it to bed until about 11:30) . . . Here’s to the crazy ones . . .
Brrr, it’s freezing!! . . . (Jumping up and down in place.) Can’t we just get started already? . . . Brrr . . . Oh, hey look! 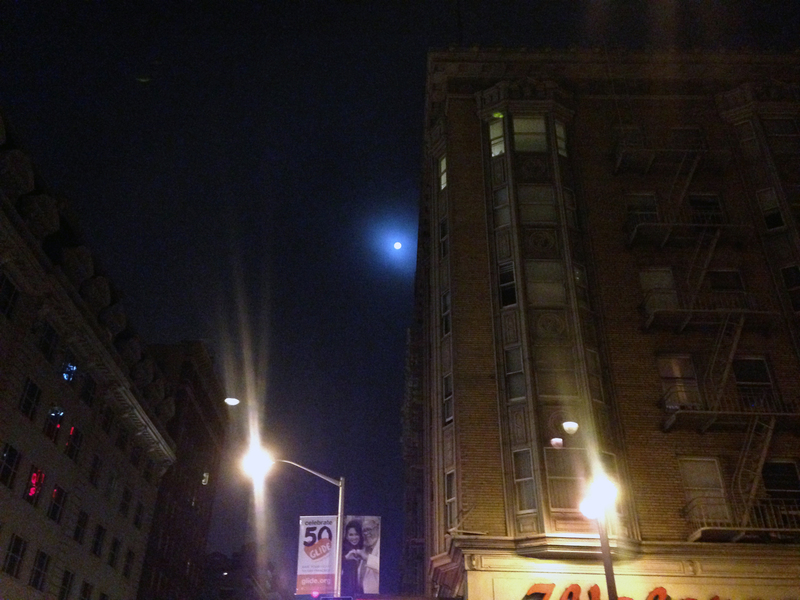 The full moon . . .
Silent Observer . . . Finally! (Runners were starting to move. We were in sections according to our anticipated paces.) . . . Now how much longer ’til my group starts?!! View from Nike’s camera . . . Yes! Walking, walking, walking. Okay, people, let’s move already! I’m cold!! Running! Downhill and flats so far. This isn’t so bad . 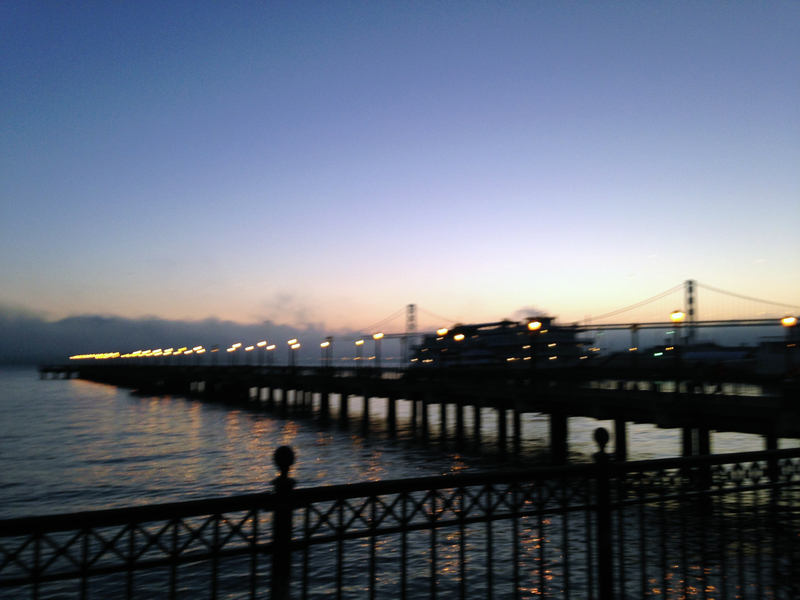 . . There’s the Bay Bridge — part of it, anyway. I’ve never seen it at sunrise before . . .
Where are all the people? I’ve never seen Fisherman’s Wharf so empty! . . . Aww, look at that guy with the sign! “Go Stranger!” it said . . . This is kinda fun! Ouch! 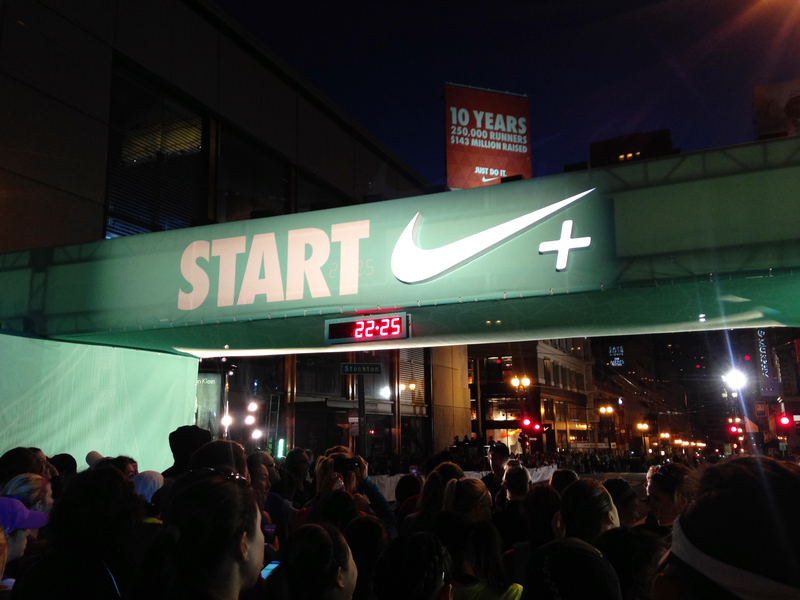 (My left knee had given me a lot of problems on my training runs and started bothering me around Mile 4.) Oh boy . . .
Knee’s okay. Phew! But look at this hill . . .
Time to shed layers! Too hot . . . Hurry!!! I made it! More than half way there! But now where are we going . . . ? Into the mist . . .
Uphill. Walk . . . No! No walk . . . Run . . . Slowly. Slow and steady wins the race . . .
Three more miles . . . Only THREE MORE MILES!!! At this point, I began picking up my pace. I’d run this far, and, though every step set firecrackers off in both my feet and legs, I had every intention of giving this last little bit everything I had. And I did. 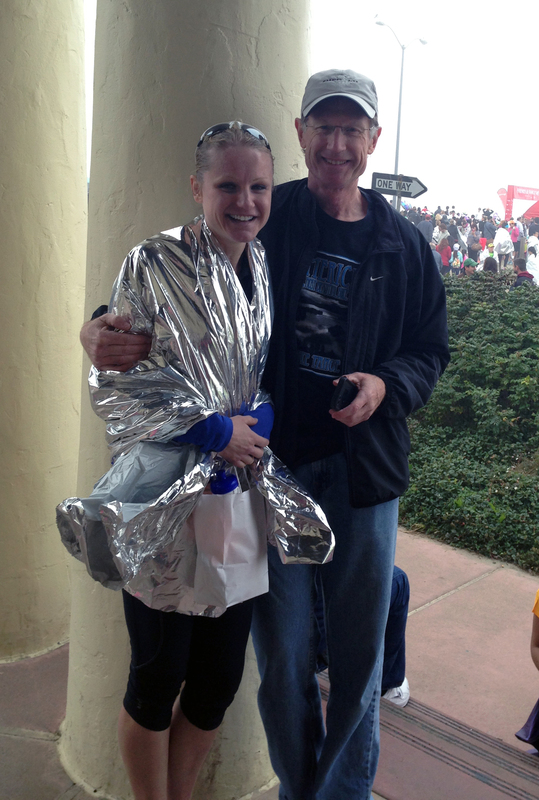 I sprinted through Golden Gate Park to the finish line for a time of 2:06:59, or an average of 9:42 per mile. I was 838 out of 5,182 in my category (Women Ages 25-29) and 3,807th overall. I beat my dad’s girlfriend and brother’s fiancee across the finish line, and, most importantly, I beat myself. I did it! After the race, my legs were wobbly and my thoughts scattered. Where was my family? I looked in vain for them in the crowd. I began to get cold and put my layers back on. Finally, forty-five minutes later, I found my dad and his girlfriend. We never did find my brother and his fiancée . . . While I was still running, though, I was already thinking about what I would call this post. “Pushing through the pain . . .” Would it be worth it? I had no doubt that it would. 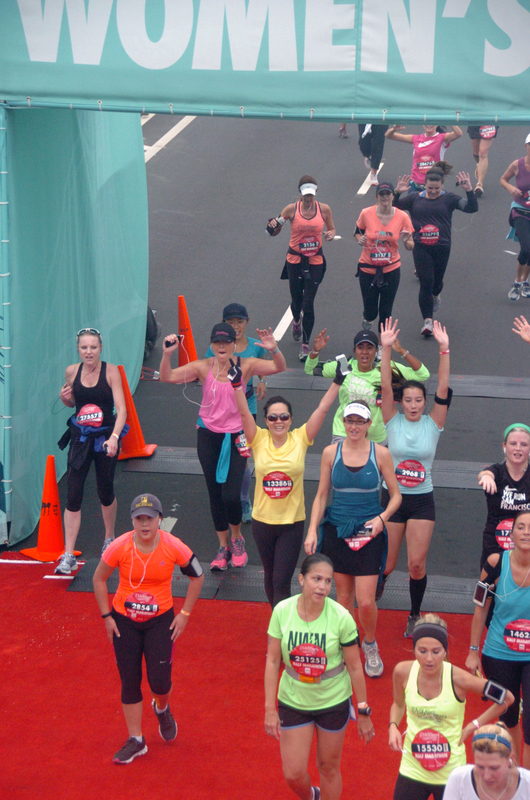 And yet I knew I wouldn’t have been able to finish this race without all of the wonderful women running beside me. They were my momentum. They were what kept me going. Just after the finish line, a woman beside me collapsed. My legs almost buckled, too. I hadn’t realized how tired I was. But I was filled with immense satisfaction . . .
Life is full of pain. Is it worth it to keep going? Absolutely. Do we need each other to get through? Undeniably. Will I sign up again next year? You bet. I’ve no doubt you’ll be signing up for your own challenges, too. GO YOU!!! see you . . . soon! 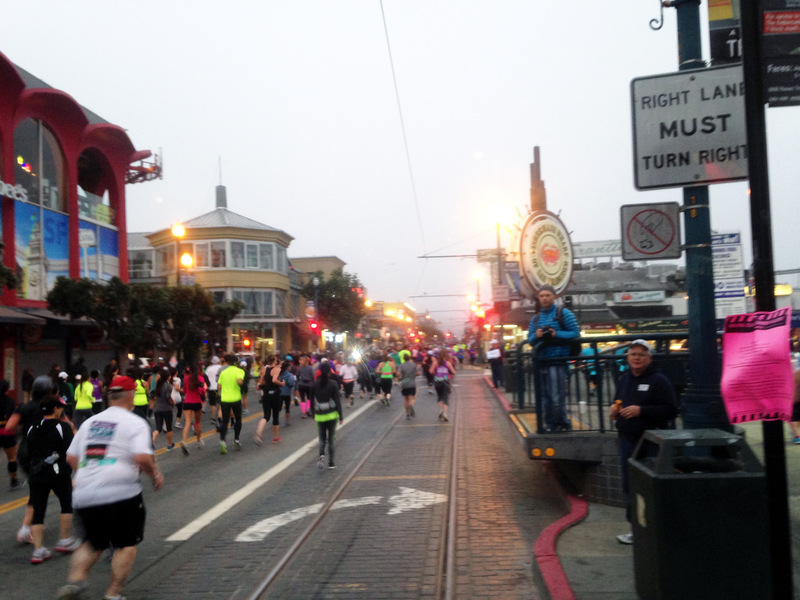 This entry was posted in current events, life, life at home, personal, perspective and tagged Embarcadero, Fisherman, Fisherman's Wharf San Francisco, Golden Gate Park, halfmarathon, Nike Women's Half Marathon, San Francisco, Sunday, Union Square, Union Square San Francisco. Bookmark the permalink. Well… I’m glad I did it. Glad next year’s race is still a year away, though. Haha. I have other thing to focus on in the meantime. But, yes. No pain, no gain. I fully believe that that is true. …there was a person with “go stranger!” sign!! thats just cosmic!! Hehe. Yes, there was. There were a lot of people with signs out there. Another I remember said, “Worst parade ever :)” …Wish I’d gotten some pics, but I could only justify stopping to snap shots so often… I was supposed to be running! Thanks, George. Hope you’re having an awesome day! Like I said, I am not a runner, and it’s nothing negative if you aren’t, either. We all have our strengths and skills. I used to have coworkers ask me where I found the motivation to go running before work. (This was when I still lived in Chattanooga.) They didn’t think they would *ever* be able to get up that early. I told them to quit trying. Everyone has to find what works for them, and that includes the challenges they sign themselves up for. You won’t ever hear about me competing on Master Chef or trying out for a basketball team again. And I don’t know if I could do the cataloging thing like you! Hope you’re having an awesome day, Vance…!!! It could happen, Professor, though I never originally thought I’d push myself for one. I think my next challenge will be a triathlon (or two). A Half Ironman, perhaps? I know, Lucas!! That’s the trouble with running. It is HARD on your body! My dad, being an orthopedist, knows full well what running does to your knees and quit running himself years ago. Quite frankly, that’s part of why I think I will never be an ultra-marathoner, etc. I’d still take a hard ride over a hard run any day, though I do enjoy both. Excellent job!! You must be so proud. It is no small feat to make that run, and you seemed to finish in pretty good shape. My late father was an ulta marathon runner — 80+ minimum miles. Nuts if you ask me, and you cleaned up all nice and shiny :) Have a lovely day. Thank you, Benjamin. 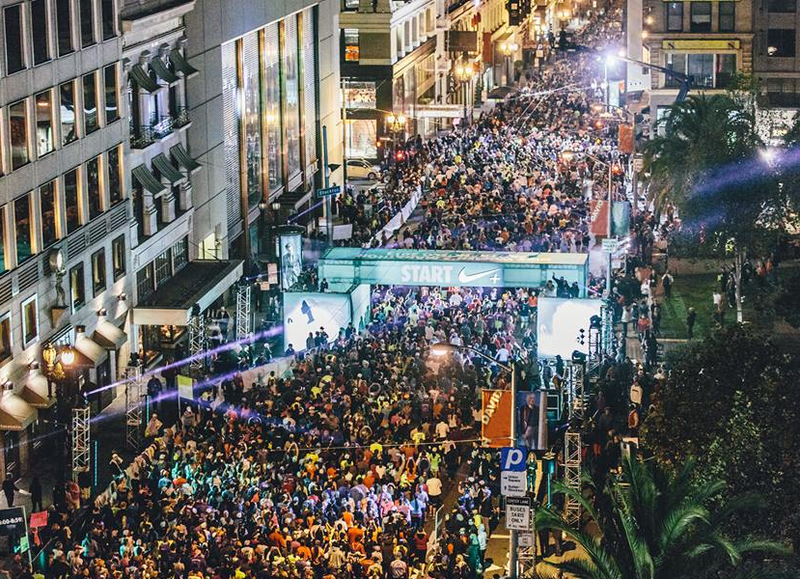 Yes, ultra-marathoners are nuts. Honestly, running is so hard on your joints that I don’t think I will ever become a very serious one. That’s why I like cycling — you create your own breeze and don’t put your body through all that pounding! Hope you’re having a lovely day, too! Congrats! You look happy & beautiful at the end. Well worth it. Thank you, John! You’re the best! Congratulations on running, and finishing, your race. Well done Jess! Thanks, Jeff. But more than that, thanks for your continued friendship through this world of blogs. It means more than you know. Hope you’re having a wonderful day! I really loved this post. 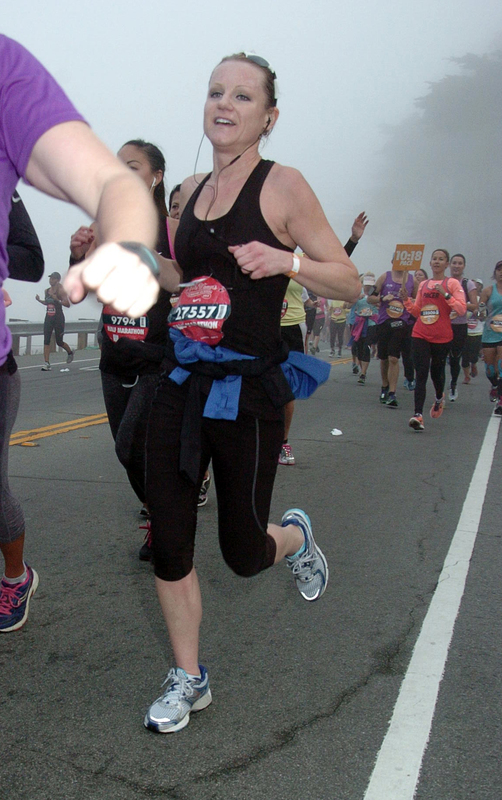 It was like a great photo essay and a glimpse into the whole experience of running a half marathon. 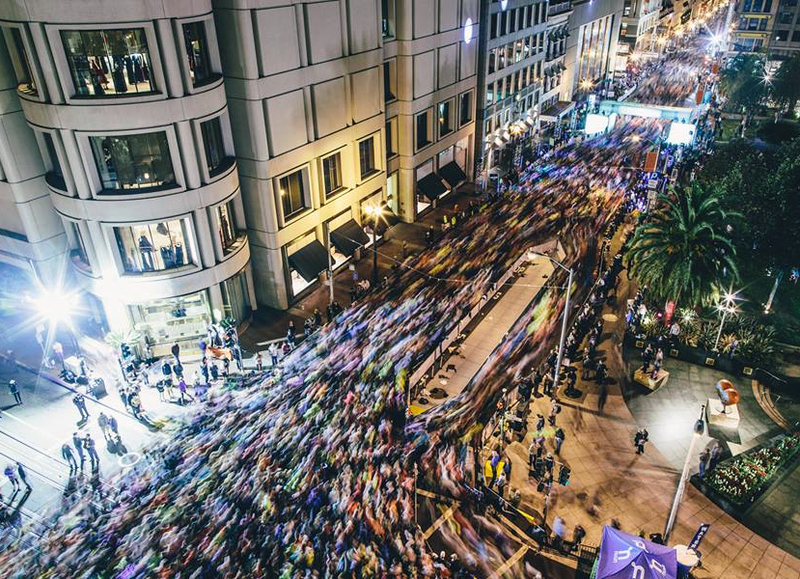 I absolutely love the long exposure of the runners, great image! 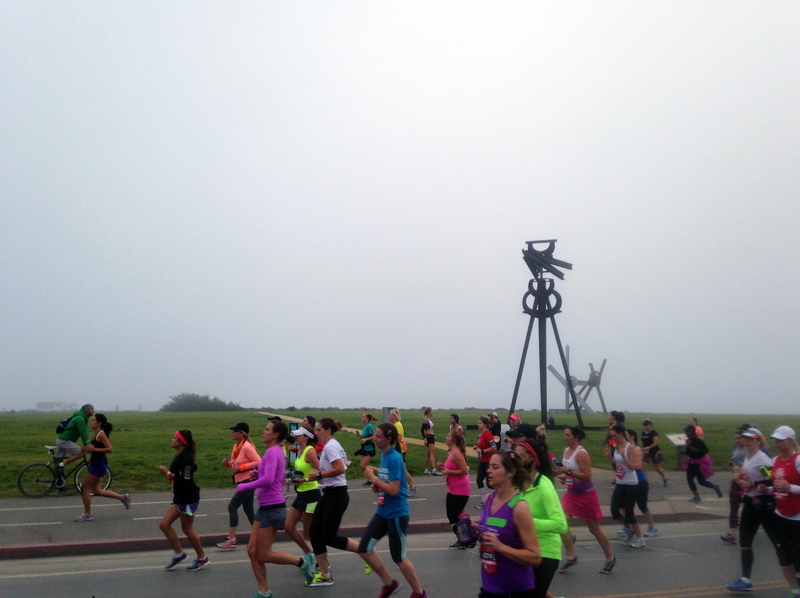 I like your comments on Mile 11, OW OW OW OW OW OW… Made me laugh out loud. Aww, thank you, Jeremy! And thanks for stopping by! I’m glad the photo essay idea turned out. And I love that long-exposure shot, too! I stole that off of Nike’s facebook page. Also glad I made you laugh. I really *was* in pain… Every once in a while I can be funny! Well done on the run and the great post. I hope you are getting plenty of rest! And a massage or hot baths or something! Thanks, Pat! My left knee was actually swollen for a week afterward, but it seems to be fine now. I’ve been out for a few shorter runs recently and been fine. I’ve gotten lots of rest and am loving that if finally feels like fall here! Jessica, I am very proud of you for completing this run. 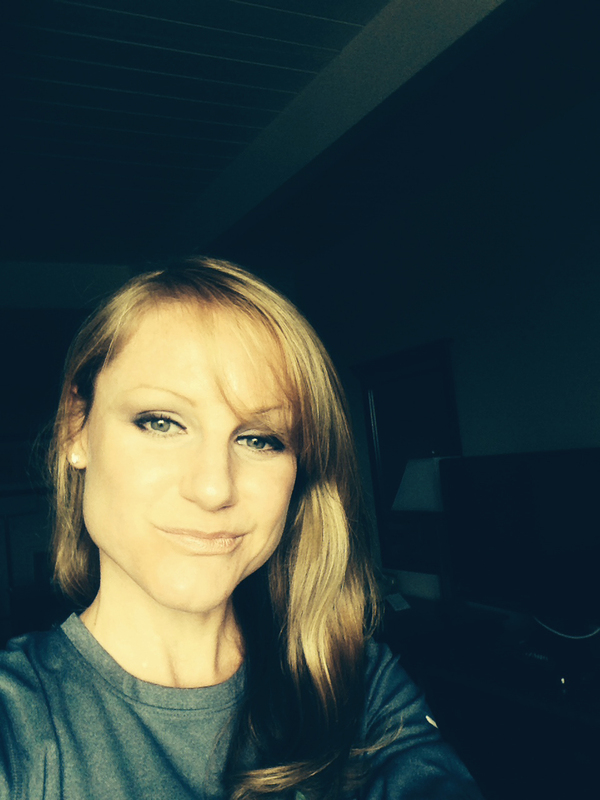 I wouldn’t be surprised if my sister, Jennifer McDunough, an avid runner who lives in S.F. was out there with you. I have Parkinson’s Disease, so running is out of the question… my legs turn to lead. But I have done a 5K walk. Anyway.. you keep on pushing past that pain, as I will!! Ohhh, thank you so much. Your sister might very well have been there. 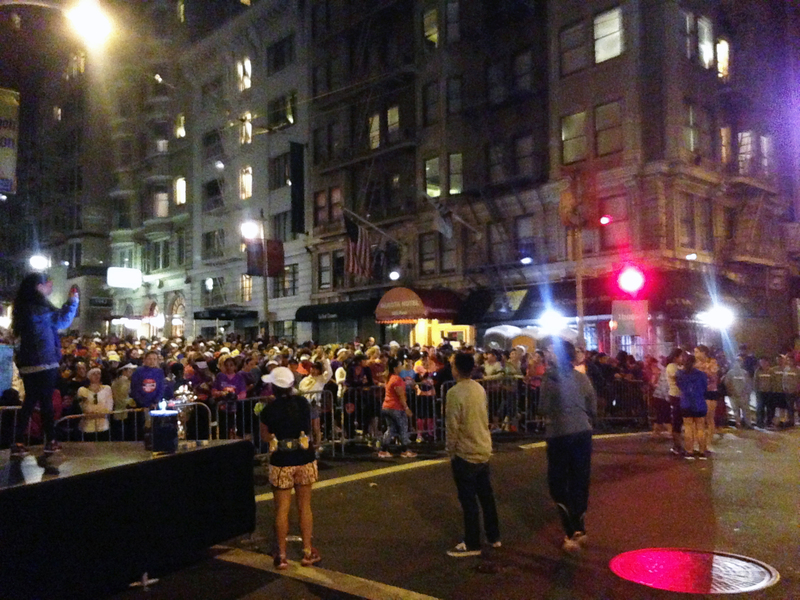 There were a more than 30,000 women in the run… I think we must have woken the whole city of San Francisco!! Also, congrats on completing a 5K walk! Parkinson’s is no fun. I’m so sorry for your struggle but admire you for your courage and determination. Best wishes!!! ok. . .a bit more than a month until my own half marathon, and this was some good inspiration! good job, jessica; proud of you! Thanks, Lawrence! I’d forgotten you were doing a run. Which one? Good luck! You’ll do great, Coach. 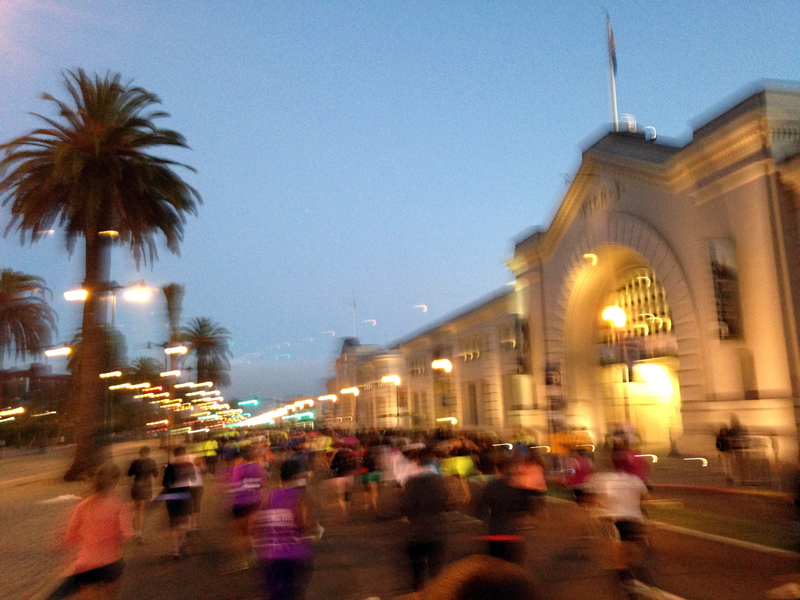 I like how it seemed like you were documenting it as you ran, blurred images, thoughts about different stages. You look great and you obviously ran well. Wow! Thanks, Mario. I’m really glad I had my iPhone while running. Obviously I didn’t want to take a lot of time to shoot photos, but, actually, the blurry images turned out pretty well and even added to the feel of this post! Thanks again for your kind words. I doubt I would have thought to bring a phone while I ran a marathon, except that I might have thought to bring a pair of ear phones, which you did. Sadly, those ear plugs never stay in my ears. Oh, wow ! ! You’re amazing ! ! And you actually don’t run? I don’t think I can do that. I will be throwing up after a mile or so. Aww, you’re so sweet. I’m really not amazing. Just stubborn. :D I exercise a lot, anyway, but, no, I’m really not a runner. That’s why I say I don’t think I could have finished this race without the momentum created by the women running around me! hehehe. i enjoyed this mile by mile recap. especially the “owww’s…” they make it all the more realistic. pushing through the pain is a fitting title. it reminds me so much of the Gospel! =D this is how God tell us to live our lives also..
” I do all this for the sake of the gospel, that I may share in its blessings. That’s a really great verse, Sophia, and I am sorry to say it hadn’t come to my mind until your comment. It fits so perfectly… Running for the prize… There is much to be gained for pushing through the pain in all areas of our lives. That’s what I tried to convey there at the end… Also, I’m really glad you enjoyed the mile-by-mile recap! Sometimes positioning and sizing and captioning pictures can be a pain, but in this post I think it really added to the overall effect and was worth the effort! Feel free to delete this if the code does not do what it’s supposed to and ends up a big mess in this comment! Cool! I honestly think I was just pushing myself really hard there at the end — going as fast as I could on very tired legs — and truly hurting — and that that’s why I looked like I was in pain. But I haven’t really thought a lot about my breathing techniques while running recently. I will definitely check this article out! Thanks, Mike! You are kind! Thank you. :-) why thank you. I know that feeling. Im an avid cyclist and have done 150 to 200 mile days for MS and Cancer. Anything i could to give back to the world I’ve taken so much from. Its a great feeling. 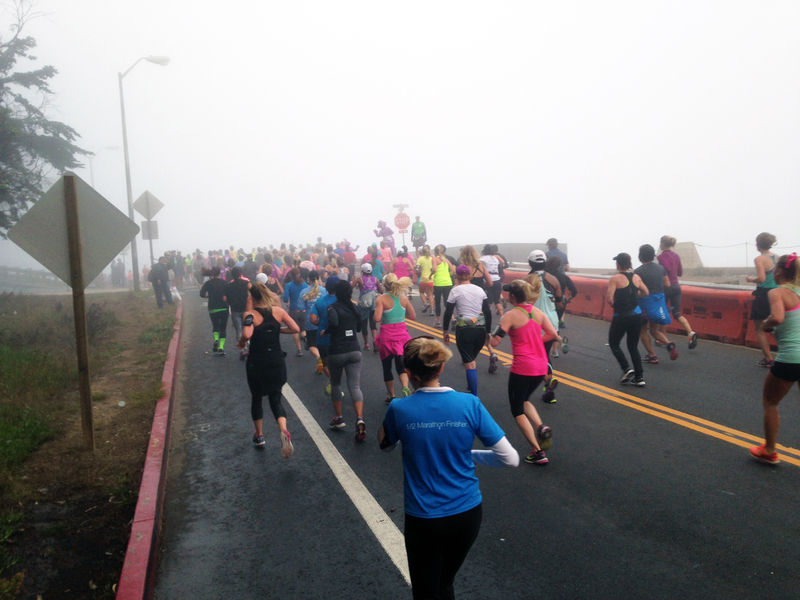 Congratulations, a fab achievement…I’m not sure I’d have chosen San Francisco as my city of choice for a first half marathon, too many hills. Next up a marathon? Thank you! The hills actually weren’t *too* bad. 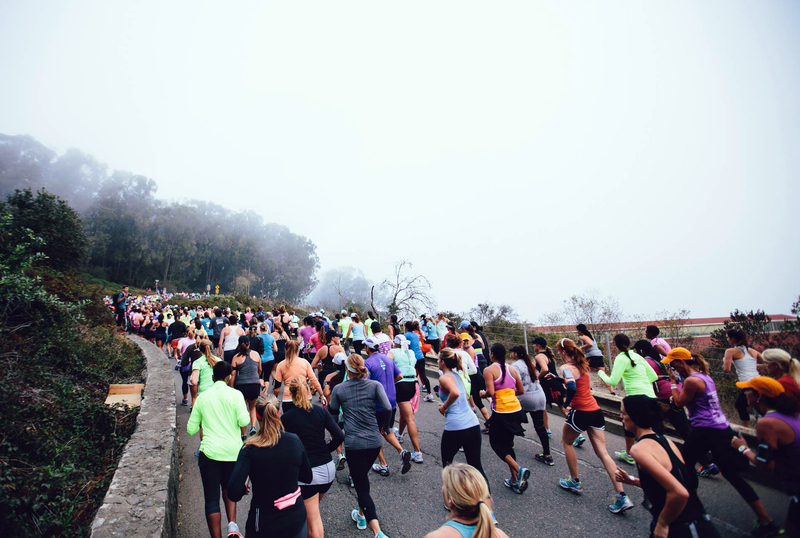 There were a lot of flats in the beginning… And a marathon? I don’t know. Maybe someday! I’m thinking about training for a Half Ironman now. I think it’d be fun! I’d agree with that, Randall. I definitely felt a big sense of accomplishment when I finished this run. And the energy that came from running with so many people was so cool! I honestly couldn’t have done it without them. I hope you do get a run in! I’m headed out for a ride right now! That’s a fantastic accomplishment. I have been a cyclist for many years and recently took up running as my goal is to compete in a few du-athlons here and there. Tri-Athlons minus the swim. It’s a run-bike-run format. My niece has done the nike half a couple times and loves it except for the mass of humanity at the start. Anyway, congrats on finishing the nike womens, and keep riding too. Yeah, the start of the race was a bit nuts, but I actually enjoyed it because the momentum created from running with that many people helped to carry me through the rest of the race. Congrats to your niece! And that’s awesome that you’re a cyclist. Riding is my favorite! Someday I want to ride the California coast. I’m also looking at training for some triathlons. A duathlon would be fun, too! Awesome. Common ground both in writing and riding. I love it. I am blessed to live in the Bay Area, and have it so good in terms of the beautiful riding that can be had here. I am guessing you are a Californian as well. How lucky we are. Anyway, Safe riding and prolific writing to you. We are indeed lucky. I grew up in the Sacramento/Lake Tahoe area. Thanks for the well wishes. The same to you! Thanks, Robert! You ought to be incredibly proud of your accomplishments, too! I know *I’m* proud of you!! Thanks a lot :). That makes me proud to know. Still many things I want and need to accomplish. Been a runner now for many years! – and a daily swimmer! My girl friend has I have anorexia and I look like on old sweaty man at the end of a run but love it! – never looked so cool (after I’ve washed, not after the run)! lol! I know what you mean! I always feel really good after running hard, and especially after getting cleaned up afterward. Thanks for reading and commenting, Stephen! Nice to meet you!